Alice St Newtown holds a very significant place in Australian history as this is where 32 year old Frederick Roebuck started the first known Rocking Horse business in Australia around 1880 and what was to be the largest and best known (actual house number still to be confirmed but was between 132 and 144 Alice St). The Roebuck family is one of the oldest Rocking Horse makers in the world; they span four generations over three continents. The Roebuck family had been making Rocking Horses since the 1800’s in England. Frederick’s Father; John Roebuck started making Rocking Horses along side Paul Leach; a well respected British Rocking Horse maker of the 1800’s before starting his own Rocking Horse business in London in the mid 1800’s where he was listed as a Master Rocking Horse maker. This is where young Fred mastered his craft; under the watchful eye of his Father. Early records show the acceptance of a Rocking Horse in 1865 for the young Duke of York by King Edward VII made by John Roebuck. In 1865; John Roebuck closed his Rocking Horse business and migrated to New Zealand to take part in the Maori Wars. It is unclear why he chose to make this move; but what is clear is it robbed the family of the distinction of being classified as English Rocking Horse makers. This loss turned out to be Australia’s gain. Whilst in New Zealand; Frederick was married and had 3 children; he then moved via Melbourne to Alice St Newtown where he had another 6 children (there is no record of him making Rocking Horses in Melbourne). He started out building Rocking Horses from a shed in his back yard. His business grew and he eventually moved the manufacturing to George St Brickfield Hill (the site where the Regent Theatre was later built); he would carry a finished Rocking Horse on each shoulder and hand deliver them to his customers; Anthony Horderns and Hoffnungs Wholesalers. Around 1900, he then moved his manufacturing to 256 Norton St Leichhardt and bought a residence at 43 James St Leichhardt which backed onto the Norton St factory. His youngest son Stanley; trained by Fred to carve still using the traditional way by using nothing but hand tools eventually took over the operation on the business, Stanley trained his sons Fred and Norman who would eventually take over the business from him. During the war years they carried out many Defence contracts including collapsible army boats for troop transport, Kayaks for commando exploration work, packing cases for the G36 hand grenades and P54 bombs. After the war the Norton St factory run by Stanley’s sons Frederick James (FJ) and Norman; became merchanised where they traded mallets and chisels for copy lathes. During their peak they employed 30 staff and would produce up to 2,800 Rocking Horses a year and other wooden toys. They were also making the wooden components for Cyclops toys. The factory eventually closed in 1972 to make way for fiberglass copies. 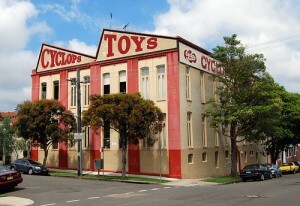 If anyone has photographs of the old factory at 256 Norton Street please email localhistory@lmc.nsw.gov.au. I did make one typo; FJ was Frederick James not Frederick John (there is alot of John’s in your family). I put in many sleepless nights searching UK sites, City of Sydney archives, Google and your second cousin Margaret..I do have plenty more info; but not related to the business. I would love so much to make contact with you; your family Rocking Horse business has a huge interest with some of us restorers; please visit my website and make contact http://www.rockinghorseshed.com.au. I look forward to making contact Don. 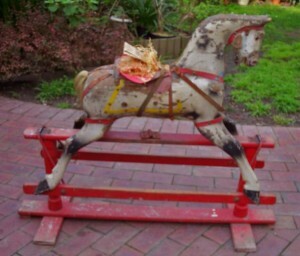 My sister has a rocking horse from the old Carousel that stood in Cronulla in the late 1940’s. Could this possibly have been made by Roebuck & Sons? To have this history behind our only current knowledge would be wonderful. Do you have any suggestions of who to go to in Canberra for restoration purposes, as this is a much loved part of our childhood and enjoyed by many little visitors to my sister’s home. Thank you very much for this research of years ago. I should also mention that a very nice lady at Leichhardt Council helped pinpoint the actual street address of where your Great Grandfather died. I had it down to 2 houses and she did a little digging to narrow it down. It is always possible; the Roebuck family made and operated Carousel’s around Sydney and sold them across the country; Fred and his eldest son Percy had to go to Tasmania to repair one once. The horses for their Carousels were carved by a German wood carver under contract. You can contact me via my website and email me a photo; I can possibly get it identified for you. I can point you to someone closer to Canberra privately. where can i buy nice wooden rocking horses from these days? Not 40+; at most 39 years. Fibreglass horses did not come into production till 1972. The Australian fibreglass horse was cast from a mould taken from a Roebuck and painted similar to replicate them. People put improbable ages on things by guess work without knowing actual production dates.. Sorry. Google 1960’s Roebuck to see how it would have looked. One of the hardest things for a restorer to deal with is the emotion that is attached to a horse. People only believe what they want to believe. This is why it is important for a restorer to date a horse without any emotion or be swayed by the story attached and simply state the facts; the customer may not like it but the facts are the facts. For example: late Aunt Mary bought a 5 year old second hand horse when she was 80 because she liked it; she died 5 years later and the horse developed family heirloom status when it was passed down to her great niece who then passed it down to her children. The story attached to this horse eventuated that it was made for her when she was little so the horse must be over 100 years old when in fact it may only be 30 years old at best. My grandfather (Jack Batchelor) restored these along side norman roebuck… they meet at a show and norman walked up to my grandfather and said these are my horses, to that my grandfather said excuse me no they are not these are mine… once my grandfather realised who it was they become very close and norman shared some of the works down to the horse and carriages and little trikes… couple of years after norman died my grandfather died and we all say that they above working on these horses together. I have a 1952 roebuck and my sister has a 1962 as well as a horse and carriage… these are family treasures and I would never part with them. That’s right; they did become close; I have a photo of Norm standing next to that very horse; it was from the Antique show at Birkenhead Point. Norm once said that your Grandfather was the only person he has met who could restore a Roebuck to as they left the factory; this is because Norm and FJ trained him many years before. If you email me I can send you a copy of that photo for your family records. How exciting to find this information? I’m married to Duncan Roebuck, who is the grandson of Pedro (Fred) Roebuck. Pedro was Norm’s brother and they both worked in the factory at Leichhardt till 1970 when it was shut down. My husband’s father, John Norman Roebuck was given a horse at this time and it has since moved to another of his son’s James Roebuck. We bought one at auction around 1992. Hi Sarah, this is great to hear from you. Sarah was also your Great, Great, Great Grandmother’s name; whom I have a photo (along with John and his Rocking Horses taken around 1870). If you would like to find out more; please email me; the more Roebuck’s I get to talk to the better understanding I can gain of this truly remarkable family. The contribution to England, New Zealand and Australia your family has made has been lost through the generations and I am making sure it gets recorded before it gets lost for good. I’ve been told that John (your Grandfather) is a master craftsman who rebuilt Vaucluse House; he must take after Pedro; who by all accounts was a genius with his hands. Thank you Jamie I enjoyed your comments on Roebuck’s rocking horses. As a child I grew up in Abbotsford, Sydney and Fred Roebuck and his wife and family were neighbours. In fact our two families used to holiday at Lake Conjola where Fred and my Dad George were quite competitive with their fishing accomplishments. I can remember the Roebucks had a room in their home in Marmion Road, Abbotsford with large glass windows and you could ride a full sized rocking horse whilst looking out of the window. The family were John, Joy and Richard (Richie). Maybe you could bring me up to date on where they are now. My name was Pam Reid and I have a younger brother Robert. I think I may have one of these rocking horses. It is wooden and has been in our family for as long as I can remember (I am 39 this year). My aunt says she used to play on it all the time so a rough estimate would put it around 45 years old. It looks similar to the ones in the photos on the site and was brought from this around the same area of sydney. If you email photos to info@RockingHorseShed.com.au I can identify it for you. You can also visit my website http://www.rockinghorseshed.com.au to get an idea; but I should be able to narrow it down to the closest year. Hi to everyone on this site. It is amazing to read some of the History of the Roebuck Horses and to see the Family and Friend connections being re established through the work of Jamie. I also build and Restore Rocking Horses and have just finished one, (1953 Model) for a Family in Wollongong. I am currently writing a Book on this Restoration, and another on My own Horses and Rocking Motor Bikes which I produce. I grew up with Rocking Horses all My life, and My Mum loved them all dearly. She also came from the Leichardt area and was a Singer on Radio and also at the old Trocadero Theatre there. Her name was Peggy Tanner, married name Emerson. She married My father, Alan Emerson also from that area. Again, it is amazing and also gratifying to know that so many People care about, and are still involved in these wonderful Toys. My kindest regards to everyone who has posted here, Paul Emerson. to the pic,needs a few repairs eg.,tail and mane. Am in my late 50s and had a lot of fun on my horse. My 2 yr old grandson has been on it a few times and he loves it. It has lived its life out of the weather and always undercover. I would like to insure it but have no idea of value could anyone help with this.Approx date of purchase 1958.thankyou for this informative site. People are often dissapointed when they find out the value of their horse. 2) They are over the top expensive as if to give them artificial prestige. The price true varies slightly on the year of the horse; not to mention the condition. The one in the photo is a 1954 model. In that condition it would realistically sell for up to $650; fully restored for between $1800 and $2200. If you want it restored; please contact me. I read your description of your book on ebay about restoring Roebuck Rocking Horses; very disappointed; there is a lot of licence used in that description and is way way way off the mark in my opinion. Firstly; you can not say you restored a horse if you send it out looking nothing like it is supposed to look; by definition; restore means to make as it was; where as you merely renovate them and send them out looking nothing like it is supposed to look. Never, never, never use builders bog (or any of these bog fillers) on a rocking horse if you want the job to last; it eventually cracks and falls out because even old timber expands and contracts, where as builders bog remains rigid and is a short term cover up; cut in new timber to the damaged parts and re gesso the whole horse. It is critical to the value of the horse to make it as it was; you are inadvertently devaluing peoples property; by making a Roebuck horse look something other than a Roebuck infers that you know more than the Roebuck’s that have been building Rocking Horses for over 140 years; where in fact the horse you are showing will show stress cracks after a child rides it. A Roebuck looks as it does in for a reason; the straps they use are there to cover any cracks that may appear after use; the position of the dapple is where the wear marks appear. The horse in your photo is 1959 on; Roebuck horses come in still looking fine with just wear marks and chips on the paint after 53 plus years; the reason is due to the specific understanding of their horses and specific “vulnerable spots”. If you want a comprehensive book on restoring rocking horses then Rocking Horse Man at Mitcham is the man to contact; the number 1 and most respected Rocking Horse restorer in Australia (now retired from restoring due to ill health but still offering assistance to those who want to learn how to do a job properly); people send him horses from overseas to restore; why? Because he does them properly; Len taught me properly (and is still teaching me) the difference in the longevity of a job done properly is vast. Don’t try to re invent the wheel; learn from their 140 years of experience. I have original, a very fragile photos of the factory in Liechardt, along with family photos and photos of the family home. Could we please correspond privately? Finding this sight has been an amazing experience for me. Hi There, Pete (& Dea) here from “Semaphore Carousel South Australia” Check out & Like our Facebook Page Then Check our Photos & our Albums This is One of them Cut & Paste this Link to your Address Bar http://www.facebook.com/media/set/?set=a.316807255042057.74498.159433010779483&type=3 Hope you Enjoy them Bye for Now P.S. Deborah we have a wall display at our CAROUSEL with over Australian Carousels Etc featuring Would love to ad your photo. Contact us via our facebook page. Hi Jamie, it’s so inteersting to find this site as John Roebuck (b. 1815) is my 3rd great grandfather (through his daughter Ann). You mention above that you have a photo of John and Sarah (nee Leach) plus horses taken in around 1870 – I would love to see a copy of that photo if you’d be willing to share it. Also, the story circulating in my family was that Eliza (one of Frederick’s older sisters) was standing outside the workshop one day (I don’t know when or the location of the workshop, though he was living in St Pancras area in 1861) when Queen Victoria was driven up, asked to see her father, and asked him to make a replica of one of her famous ‘greys’ which was done and was said to be still in Buckingham Palace. An earlier enquiry at the Palace didn’t produce any more details. If you’ve gone any related information I’d be really interested to know it. Many thanks. It was in Osborne House. The story as you have said it is almost word for word as I know it. The location of the shop was 320 Euston Rd London. Even to this day, the Royals use Euston Rd as the entrance to the Palace via the back gate because they only use the front entrance for very special occasions as they have to close off half of London to use it. Please email me, we need to talk. Hi, I have a beautiful old Roebuck that I have been told is around 1915, I have no idea where to send her for restoration, I live in NSW but I am happy to send her where ever in Australa, to someone who will do the best restoration, any suggestions??? Please send me an email with photos. Squat down and take a photo of the best side, then the front and the rear, then a decent photo of the clamps, the hoof rail including a hood in the shot, the post. The horse needs to be carefully dated prior to anyone commencing any work. I am researching this family for John Roebuck’s gg grandson, g grandson of Sarah Roebuck who married James Wm Davies..
Today I have found them arriving in New Zealand on the Rob Roy on 10th August 1865. That’s fantastic, are you able to email me some photos please? My email address is info@rockinghorseshed.com.au. Hi I’m restoring a Roebuck rocking horse ,I live in Perth wa the main is a series of many holes drilled into neck ,therefore it needs to be indervidualy worked.ive an original saddle but nothing else ,how and where do I go to supply my needs to complete my project ? Someone has butchered your horse. The mane was never like that, the mane was always a hide nailed onto the horse. These holes need to be filled with dowel. If you can email me some photos of your horse I will price a proper kit for you. I work at a school in regional South Australia. We have an old rocking horse in the front office which has been there as long as the longest serving staff member. The poor old thing is getting quite tatty and there has been talk of ‘fixing’ it.There are missing sections of the mane, no tail and it leans to the right. There are cracks at the top of the legs making it appear as if it may soon break. Inquiries to the local Men’s shed to restore it met with a request for funding which we don’t have. Recently the secretary contacted the local high school to see if the woodwork department wanted it as a project but now there is talk about sending it to the art department. I have concerns that we will end up with something gawdy and if there is any value to it, it will be ruined. can you please give me advice as to where to find out if it is worth anything, therefore would it be worth fixing properly? We have no interest in selling it but are also in the predicament that a proper restoration job may be also out of the question due to cost and location. is there anyone in south australia who restores them.Thank you for any advice you can give us. reading the views of all friends regarding this article, while I am also eager of getting knowledge. I have a 1953 Roebuck horse needing restoration. I have read an entry by Ron on 5 Jan about his mane being made of inserted plugs of horsehair – mine is the same! You say it has been butchered but it does seem a lot of work to go to instead of glueing a strip on. Do you have any more information to share? Can you recommend any restorers in NZ? Let me explain about my comment “being butchered”. It is not only butchered, it is irresponsible. Boring holes that remove around 30% of the thickness of the timber of the top of the head is foolish. The holes weaken the old timber and the head splits because there is no lateral strength left. These tufts are not only glued, they are nailed, usually with 3″ nails. I’ve seen these holes weaken the head to the point that an ear and the side of the head had broken off or another where the head started to split longways down the middle. To make it right requires the tufts to be fully removed; the small pieces between the holes break out when doing this, leaving a long uneven cavity up to 1.5″ inches deep from the back of the ears right down the back of the neck. This then needs the edges to be cleaned up, the bottom of the trench made even and new timber needs to be cut in and glued into place to fill the “Grand Canyon” and make a solid piece of timber again. Pouring filler into the ravine will not add strength, it will only fill the chasm. If not done right, the likelihood of the head breaking is quite high over time. The head is such a vital part of the horse for safety. Bear in mind the stress on the head when a child is pulling back full swing. The head is the only thing securing that child to the horse via the reins. Now imagine the result if the head breaks when the child is hanging on as the horse is tilting fully back. It won’t be pretty. I am looking to research the history of my home in James Street, Leichhardt. I have been told there is some spiritual connectivity to the home and was interested in the previous owners and or tenants. How would I find out more information. Leichhardt Council has an Archives facility. You fill in a form with exactly what you require and a few weeks later you get a call telling you they have retrieved your request. When you go in they will have all the files on what you have requested (piles of them). I did this when researching the history of the Roebuck factory at 256 Norton St Leichhardt; they had files dating back to 1898. They sit you at a table with the piles of folders to troll through, if you want to make a copy of anything it is by memory 20c per photo copy which is quite cheap. Make sure you take a writing pad and a camera with you. I have to say that I found the service of all involved to be outstanding. 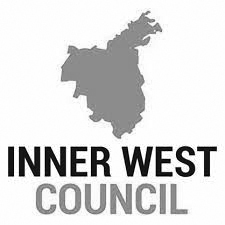 I was expecting them to be as difficult to deal with as the stories you hear of other councils, but that couldn’t be further from the truth. What a great read. I am Norm’s grandson. We have one of pop’s horses and above the horse we have a photo of our now Queen and sister Margaret riding a Roebuck horse.It is still highly regarded and admired by any visitors. Wondering if you know when Jack Batchelor was actively restoring Roebucks? I purchased a size 2 rocking horse several years ago from a Sydney seller who said it had been restored by a man named Jack but she couldn’t remember the surname. When Jack was restoring Roebuck’s the size 2 was not readily available; only the size 3 were around when Jack was restoring them. It is highly unlikely to be an original Roebuck. Good to hear from another Roebuck. There is a story regarding this photo that you need to know; please contact me directly. Hello, can i send you a photo of a rocking horse i have to get some information on the age etc? Thankyou. May I send you a photo of a rocking horse I have. I would like details of how to go about restoring it to the original condition. I would also be interested to know its history as when it may have been manufactured, etc.